‘My feelings toward NATO are very bad. 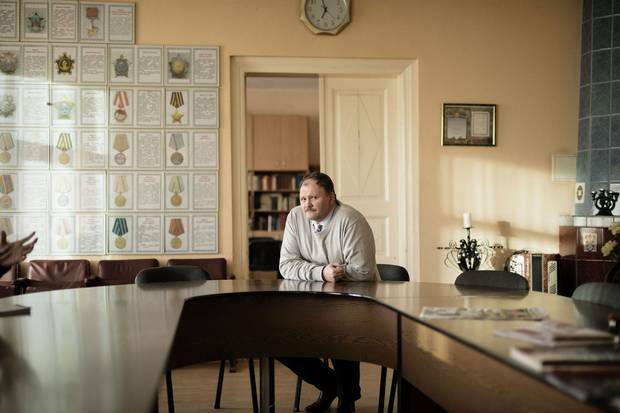 They make enemies for themselves,’ says Aleksej Vasiljev, the head of a local non-government organization that claims to represent the Russian community in Daugavpils. It's dubbed Operation Reassurance, but not everyone in Latvia agrees with the moniker given to the NATO mission Canada will soon be leading in this former Soviet republic. Unease abounds about the deployment, which is expected to begin some time in June. Never before have soldiers of the Western alliance been permanently garrisoned on the territory of the former USSR, with some Canadian troops and their families expected to spend years based in Latvia. Never before has Russian alarm been as shrill about what it calls an "aggressive" deployment so close to its border. And the military mission will begin under stormy international skies. This week, Russian President Vladimir Putin described his country's relationship with the United States as "deplorable," following the U.S. cruise-missile strike against Bashar al-Assad's regime in Syria. Canada is not in Mr. Putin's good books, either. Prime Minister Justin Trudeau has firmly supported U.S. President Donald Trump's decision to hit Russia's ally, which stands accused of using deadly chemical weapons against a rebel-held village. This, history teaches us, is how bigger wars start: with all sides saying they don't want conflict, but mobilizing their militaries and waiting for the other side to back down. But as you drive east toward the Russian border, the local mood shifts. 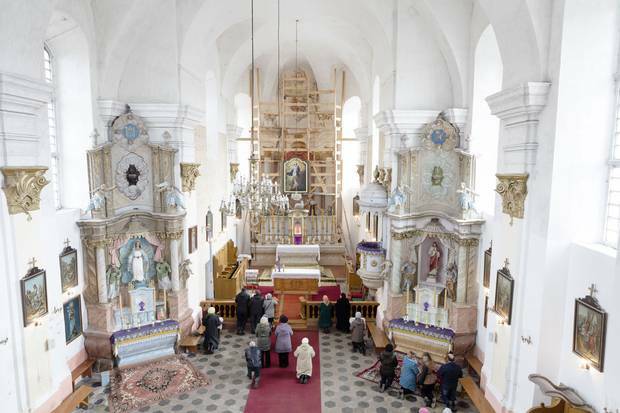 In Latvia's easternmost region of Latgale – where Russian is the dominant language, and Kremlin-controlled television is the main source of news – many see NATO, rather than Russia, as the aggressor. 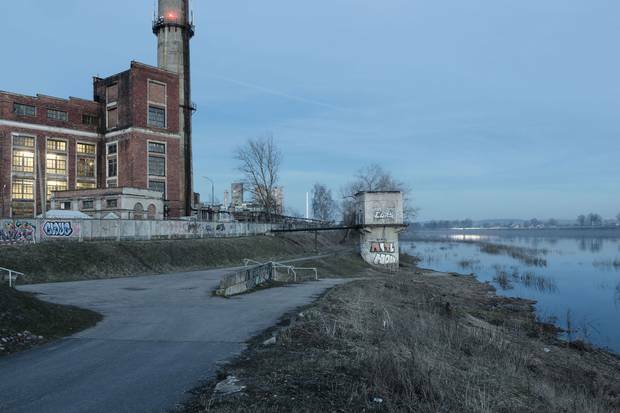 Rather than feeling reassured by the arrival of the Canadians, Latgale residents worry that it will only exacerbate tensions in the region. "My feelings toward NATO are very bad. They make enemies for themselves," says Aleksej Vasiljev, the head of a local non-government organization that claims to represent the Russian community in Daugavpils, the largest city in Latgale and the second-largest in the country. Sitting beneath a wall of Soviet heroes of the Second World War – including a portrait of Joseph Stalin – he says the presence of NATO troops in Latvia is a "provocation" that will spur Russia to build up its own forces in the region. "All wars start with provocations," Mr. Vasiljev says, adding that Canadian troops need to be respectful of the local population. 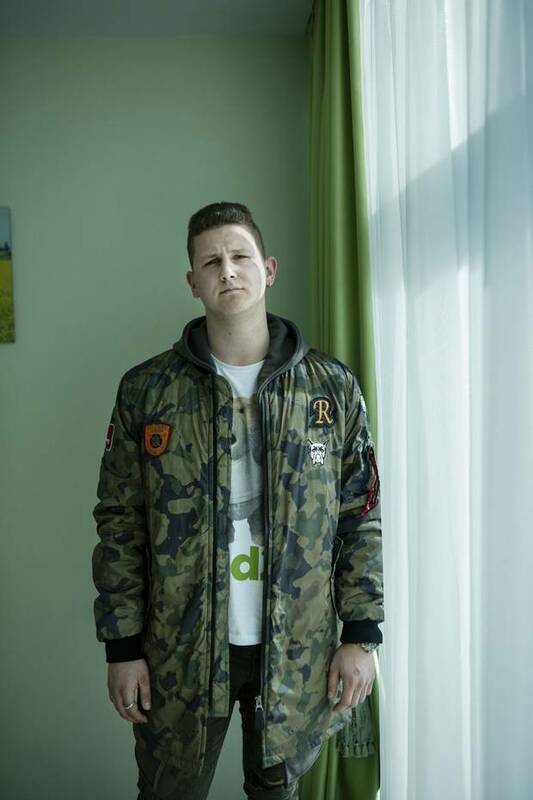 "I don't want my country, my Latgale, my Latvia, to become a place where people are fighting." 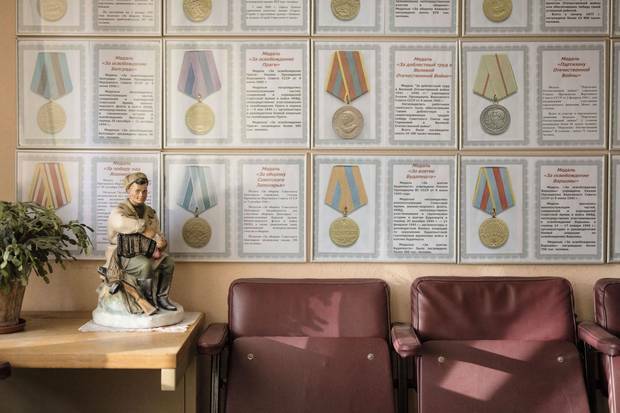 Awards bearing the faces of Stalin and Lenin hang on the walls behind Aleksej Vasiljev. The Saints Boris and Gleb Russian Orthodox Cathedral in Daugavpils. St. Peter in Chains Roman Catholic Church in Daugavpils. In heavily Russified Latgale, many cheered on Vladimir Putin’s actions in Ukraine for what they saw as the Russian President standing up for the rights of Russian-speakers abroad. Daugavpils was almost flattened during the Second World War, then rebuilt afterward as a Soviet industrial centre, with ethnic Russians moving in from other parts of the USSR. The Canadians will be headquartered hundreds of kilometres to the west of Latgale, at a former Red Army base near the Latvian capital of Riga that is rapidly being upgraded and expanded to accommodate the additional troops. But Alain Hausser, Canada's ambassador to the three Baltic States of Latvia, Lithuania and Estonia, says that Canadian soldiers will likely end up doing training missions and patrols all over Latvia, including the heavily Russified Latgale: "This is a NATO mission in Europe. We're defending a NATO member. There are no no-go zones." It's impossible to predict what kind of atmosphere the Canadians will arrive into this summer, let alone how the U.S.-Russia relationship will develop in the years ahead. Mr. Trump's election in November initially unnerved America's allies, who worried about Russia's alleged efforts to tilt the U.S. vote in Mr. Trump's direction, and about the new President's campaign-trail description of the North Atlantic Treaty Organization as "obsolete." Now, worries that Mr. Trump might be too close to Mr. Putin have been upended by the cruise-missile strike in Syria. Hours after U.S. Secretary of State Rex Tillerson was given a chilly reception in Moscow this week, Mr. Trump met NATO Secretary General Jens Stoltenberg and emerged to declare that the 28-country alliance was "no longer obsolete." 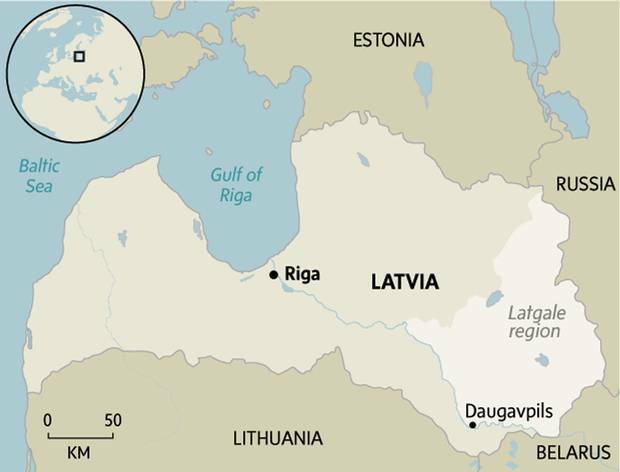 On top of Latvia's complicated ethnic and linguistic mix – and the population's polarized feelings about NATO – there's also the poorly kept secret that, if Mr. Putin did decide to launch an invasion of Latvia, the small NATO deployment wouldn't slow the Russian army down for long. Instead, Operation Reassurance is what's referred to in NATO parlance as a "tripwire deployment," intended to make clear to Russia that attacking one or all of the tiny Baltic States is tantamount to attacking every other member of the military bloc. But there's not much that can be done to save those tasked with being the tripwire. Most scenarios have the Russian army capturing the capitals of Latvia and Estonia within 60 hours of the start of an invasion. "The troops die," is the blunt assessment given by Stephen Saideman, chair of Carleton University's Norman Paterson School of International Affairs, when he is asked what happens to those deployed to Operation Reassurance in the event that war does break out. "The idea is that their deaths would lead to an automatic response – politicians can't just let their troops die without a response – which then would lead to an escalation and on and on, so that [NATO] deaths serve to deter the Russians. But, yes, the troops being sent to the Baltics would die in a real war." Russia says that talk of its invading the Baltic States is alarmist – and driven by "Russophobia." But the threat of war in the Baltics is being taken seriously enough that 19 NATO members are contributing troops to Operation Reassurance, which will also see battle groups deployed to Poland, Lithuania and Estonia. There are similar fears in Latvia. But in a country where 37 per cent of the population speaks Russian as a first language, and polls suggest that nearly one in five citizens share the Kremlin's suspicion of NATO, there's a sense that the threat might be internal, as well as external. "The Kremlin has already won the hearts and minds of many Russian-speakers here. It's really too bad," says Andis Kudors, a Riga-based political analyst. "There are really two worlds here inside Latvia." Worries about Russian influence – particularly in Latgale – are such that staff in one popular Daugavpils nightclub are barred from speaking Russian, even to customers who order in the language. The club's owner, Andrejs Faibusevics, says he's glad that Canadian and other NATO soldiers are headed to Latvia to show their solidarity. But he says that Canadian troops would be well-warned to keep their guard up, and to be aware that there is a part of the population that is more loyal to Moscow than to NATO or the Latvian state. "It would be naive to think that we don't have any spies here. We have enough mindless Soviet jihadis who will go and help [Russia] if they are called," Mr. Faibusevics says, speaking fluent English that he has also encouraged his three children to learn, along with French and German, instead of studying Russian. "Of course we are worried," he adds. "Until Ukraine – we thought it was not possible here. After Ukraine, it's clearly possible." Daugavpils nightclub owner Andrejs Faibusevics is glad Canadian and NATO forces will be in Latvia, but says they should be vigilant. Even as Mr. Putin was signing the papers to formally annex Crimea from Ukraine, his agents were stirring up a secondary revolt in the Donetsk and Lugansk regions of southeastern Ukraine, sparking a civil war that three years later sees Kremlin-supported militias in control of two "people's republics" that the separatists declare to be independent, though no one else recognizes them as such. More than 10,000 people have died in the fighting there. And while the West saw Russia's actions in Ukraine as pure aggression – leading Canada, the United States and the European Union to target Mr. Putin's inner circle with economic sanctions – the events looked rather different to some in Latgale. Here, many cheered on what they saw as Mr. Putin's standing up for the rights of Russian-speakers abroad. Criticism of the Western sanctions against Russia – which resulted in countersanctions from Moscow that have hit Latvia's agriculture industry hard – is common. "Crimea was a part of Russia. It is a part of Russia," says Evalds Jankovskis. An 18-year-old with mixed Russian and Latvian parentage, he recently joined an anti-EU political movement, in part over frustration that Latvia's membership in the EU meant that it had to join the sanctions against Russia. As events in Ukraine accelerated in 2014 and 2015, someone even created a Facebook page calling for the creation of a "Latgale People's Republic" akin to the pro-Russian mini-states being formed in Donetsk and Lugansk. Latvian teenager Evalds Jankovskis, who is of mixed Russian and Latvian parentage, recently joined an anti-European Union political movement, in part over frustration that Latvia’s membership in the EU meant that it had to join the sanctions against Russia over its invasion of Ukraine. The history of Latgale has much in common with southeastern Ukraine. 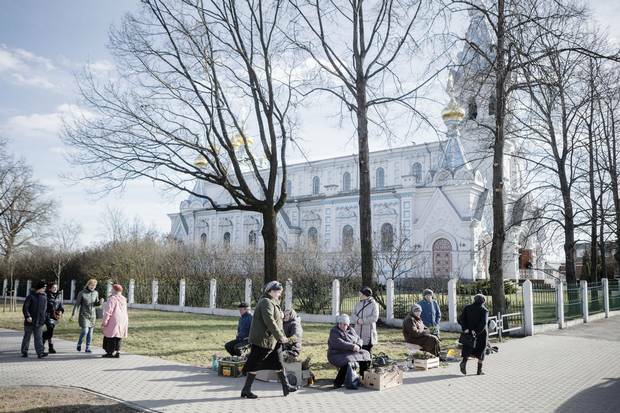 Like Donetsk and Lugansk, Daugavpils was almost flattened during the Second World War, then rebuilt afterward as a Soviet industrial centre that drew an influx of ethnic Russians from other parts of the USSR, dramatically changing the city's demographic mix. The quarter-century since the fall of the Soviet Union has been marked in both Ukraine and Latvia by tensions between linguistic groups. Russian-speakers in both countries (as well as in Estonia) have spent much of the past 25 years fighting to have Russian made an official language, while their governments have resisted out of concern about Moscow's lingering influence. A quarter century after independence, 250,000 of Latvia's resident Russian-speakers – 10 per cent of the entire population – remain non-citizens of the country, denied passports because they're either unwilling or unable to pass Latvian language and history tests. As in Ukraine, there's also a deep divide over the country's Second World War history: Most Russian-speakers see the Red Army as having liberated the country from the Nazis in 1944; most Latvian-speakers view that "liberation" as involving nothing less than the German occupation being replaced by a Russian one that lasted until independence was gained in 1991. There are, of course, important differences between Latvia and Ukraine. Chief among them: Latvia has since become a member of both NATO and the EU. Plus, the country has an average income roughly double that of Ukraine's. The example set in Donetsk and Lugansk also looks far less attractive after three years of grinding war that have left the rebel-held areas as no-man's lands that are part of neither Russia nor Ukraine. There are no obvious signs of separatist sentiment in Latgale today. Still, there's enough pro-Russian sentiment here to justify Defence Minister Harjit Sajjan's public worry that Canadian troops could themselves be targeted by the sort of "hybrid warfare" tactics that Russia has used in Ukraine. Mr. Sajjan has publicly suggested that Russia could try to whip up local hostility against the troops, perhaps even to the point of inciting violence against them. Several incidents involving NATO soldiers are already legendary among Latvia's Russian-speakers. Most infamous is a 2014 incident that saw inebriated NATO soldiers brawl with residents in the port city of Ventspils after the sailors were accused of harassing local women and urinating in public. The story was spread widely by Russian media after the mayor of Ventspils accused the NATO troops of "behaving like occupiers." Mr. Hausser, the Canadian ambassador, says the troops would need to be on guard against "provocations" that could be used by Russian media to drive a further wedge between Latvians and NATO. "I would not say that all Russian-speakers are against NATO, or against the Canadian battalion," he said in an interview. "Some are against, for sure. But the opposition will come more from outside Latvia, in the form of fake news and propaganda." Those who get their news from pro-Kremlin sources already see the NATO mission through the same lens as does the Kremlin. 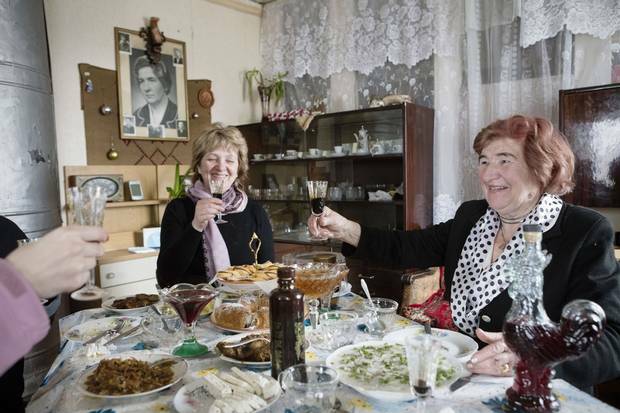 "We don't need this here," 80-year-old Regina Galasko says of the idea of NATO soldiers patrolling her town of Piedruja, which sits along Latvia's border with Belarus, a close Russian ally. Like many in Latgale province, Ms. Galasko – who was Piedruja's mayor in the late 1980s, when both Latvia and Belarus were part of the Soviet Union – gets her news exclusively from Russian sources. That's not entirely her decision: Sitting on a sofa in her cramped bedroom, she flips through her television set to demonstrate that the only channels she receives are Russian-language services broadcast from Russia and Belarus. Ms. Galasko says she doesn't believe everything she sees on TV. "Everyone has their own truth," she says. Still, although she's proud of her Latvian citizenship, she wishes the country had not joined the European Union or NATO, and had instead remained closer to Russia. Canada will be the next front in the disinformation war, Latvian Foreign Minister Edgars Rinkevics warns. Russia has already turned some in Latvia against NATO, and Mr. Rinkevics says that the next logical step will be an effort to sink the Canadian public's support for the mission. "I do believe Canadian society will be quite a target," he said in an interview at the Foreign Ministry building in Riga, which served as the headquarters of the Latvian Communist Party in Soviet times. "We do not expect physical provocations against Canadian soldiers. We do expect fake stories like we have seen with German soldiers in Lithuania." German troops, who are leading the Operation Reassurance battle group in Lithuania, arrived in that country in February. (The United Kingdom heads the mission in Estonia, while the U.S. has taken the lead role in Poland.) Shortly after the Germans arrived, the speaker of Lithuania's parliament received an e-mail claiming that an underage Lithuanian girl had been raped by German-speaking men in uniforms, a story that also reached the media in both Lithuania and Germany. A Lithuanian police investigation found the purported crime never occurred, and prosecutors are now looking into who sent the e-mail, which they say came "from a country outside the EU." 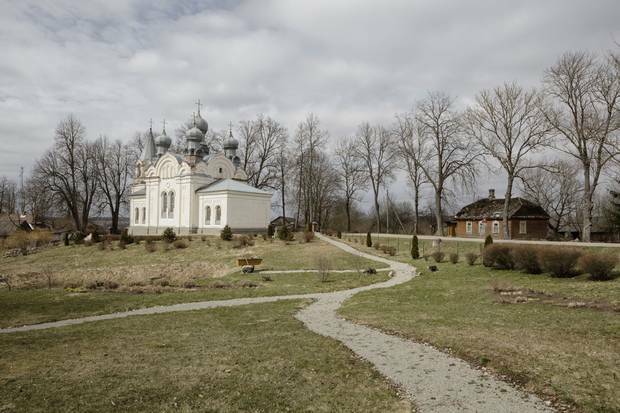 The Orthodox Church of St. Nicholas, in Piedruja, which sits near Latvia’s border with Belarus, a close Russian ally. 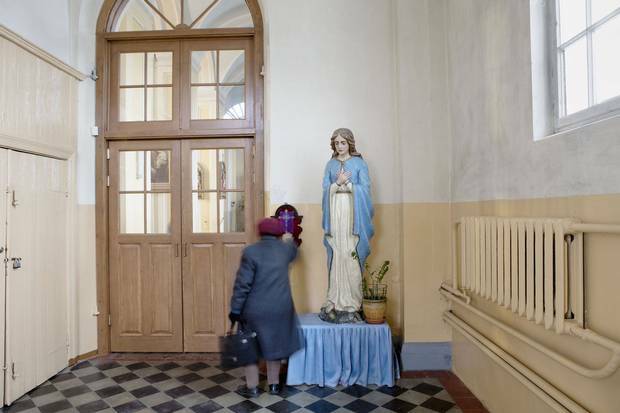 A ceremony in the Roman Catholic Church of the Assumption of Virgin Mary in Piedruja, a town in which some residents wish the country had not joined the European Union or NATO, and had instead remained closer to Russia. Sporting balaclavas and Kalashnikov rifles, the crowd tears down, and then burns, the Latvian and EU flags, before raising Latgalian and Russian banners to proclaim a "Latgalian-Russian Union." The TV show then cuts back and forth between more footage of dramatized events on the ground, and a "war room" of 10 real-life British security experts – former military, intelligence and government officials – debating how they would respond to them. Things get dire fast, and Latvia's fictional government invokes Article 5 of NATO's collective defence treaty. As all-out war with Russia draws near, complete with talk of nuclear weapons, one member of BBC's security cabinet asks: "Are we ready to die for Daugavpils?" The show was heavily criticized in both Russia, for portraying the country as an aggressor, and Latvia, for emphasizing its internal divisions. But those involved in real-life strategic decisions say the program's premise of a small incident in the Baltic States spreading rapidly into a wider conflict wasn't too far off some of the scenarios they're looking at. Karlis Neretnieks, a retired major-general and former head of Sweden's National Defence College, says that his country's decision to reintroduce conscription was based on its own war-game scenarios, which suggested that Sweden would be rapidly drawn into any conflict between Russia and NATO over the Baltic States. While the presence of the NATO troops in Estonia, Latvia and Lithuania successfully removes any doubt about whether the alliance will respond to an act of aggression against the Baltic States, it also raises the question of how NATO will defend its allies – and rescue its "tripwire" soldiers – if war really does break out. Flying in NATO reinforcements from Germany and Poland, which lie to the south, would be close to suicidal, Maj.-Gen. Neretnieks says, because of Russia's formidable air force and the presence of long-range anti-aircraft batteries in Russia's Kaliningrad exclave, which is wedged between Poland and Lithuania. That means that the safest route for NATO forces to reach Latvia and Estonia would be via Swedish airspace. "The Russians know that, and would do everything they can to prevent it," says Maj.-Gen. Neretnieks. In the estimation of Sweden's defence ministry, the Russians would seek to quickly seize the Swedish island of Gotland – in the centre of the Baltic Sea – in order to erect anti-aircraft batteries there in the path of any effort by NATO to reinforce its tripwire troops on the ground. That analysis, combined with the realization that Sweden's tiny armed forces could do little to stop such a move by the Russians, helped prompt the return of conscription, Maj.-Gen. Neretnieks says. "If Russia would do something regarding the Baltic States, and NATO chose to defend them, then Sweden would be drawn into the conflict. We would have no choice. The World War Two option, to stay out and be neutral, doesn't exist today." Latvians on both sides of their country's political divide say such talk remains far-fetched. Mr. Vasiljev, the head of the pro-Russian group in Daugavpils, says that Ukraine and Latvia are two very different situations. "There are things we don't like about the Latvian government, but we are not going to invite the Russian army here, or go into the streets with weapons," he says. "If nobody pushes Russia, Russia will not start anything." But Mr. Faibusevics, owner of the Daugavpils nightclub that forbids its staff to speak Russian, isn't as convinced that Russia won't try to stir up trouble in Latgale as tensions mount between Moscow and the West. "We know that they can do this. Whether they will, we don't know." With Donald Trump in the White House, the Balkans whisper of war Nowhere in the world is tension higher than in this Southeast European region, where peace has largely been maintained by U.S. political will, Mark MacKinnon explains. Putin pushes Russia back into the centre of international attention The Russian President has pursued an overarching geopolitical goal: to see his country treated with the same respect the Soviet Union had during the Cold War, Mark MacKinnon explains.